We had the great opportunity to attend the International Builders’ Show in Orlando, Florida in 2002. We went anticipating that we would learn new techniques and tools to help make us more efficient. What we came away with was the realization that we needed to incorporate Green Building Practices into our day-to-day processes and procedures. We decided that to reach this goal we would take a multi-pronged approach, incorporating education, materials, and construction. We educate our employees and customers. Our employees learn about Green Building Practices through seminars and hands-on experience. It has become part of our everyday lives not to be wasteful, to make sure we don’t squander material or fuel. Our customers are brought up to speed on the long term advantages of being Green, especially when it comes to fossil fuels. 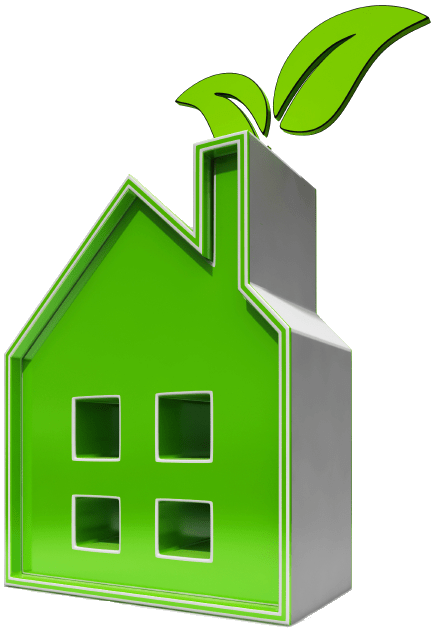 We see positive results time and time again, and our clients appreciate the effort we all put forth to stay as Green as possible. We use the right materials. We have built projects like the Roe Jan Library using Fly Ash concrete. We use Spray Foam insulation as mush as possible to create a monolithic barrier to the elements. No more drafty, energy wasting homes and businesses. We use salvaged wood products, Hardi-Plank, and engineered wood products. All of these products are part of the Green movement. During construction we use the most efficient heating and cooling systems, which include Geo-Thermal. Our systems for installing builders wrap, windows and doors is the first line of defense against the elements. Wasting material is not an option on our projects. It starts with our involvement with the client’s architect and continues on to how we order material. We share this philosophy with our subcontractors and suppliers, which makes for an amazing team effort. We are very proud of the effort our team gives to every detail. The results are amazing and are standing the test of time. Let us share our passion and experience with you to make your dream come true. Call us today at (518) 672 7712 or email moc.n1556197452oitcu1556197452rtsno1556197452caino1556197452gal@e1556197452groeg1556197452 and start discussing your own project.